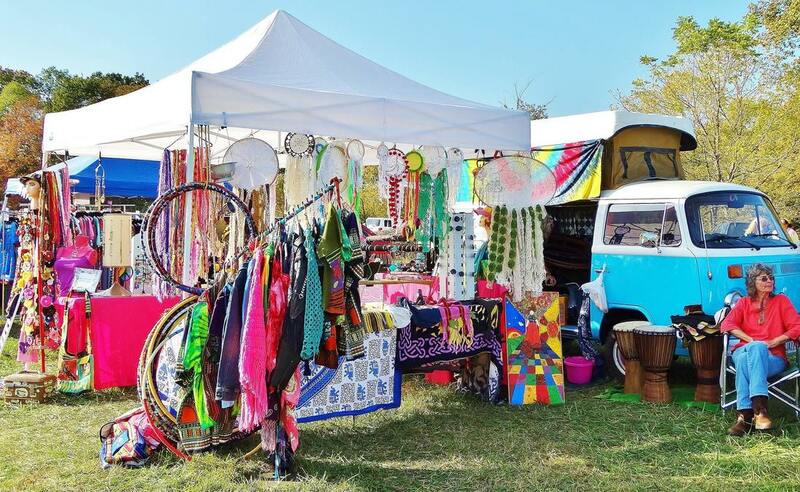 Interested in being a vendor at Hippie Fest? Registration is easy! Use the shopping cart at the bottom of this page to purchase a vendor ticket for the event date(s) you are interested in and fill out the registration form when prompted at checkout. You will receive a confirmation email once the vendor fee is paid. 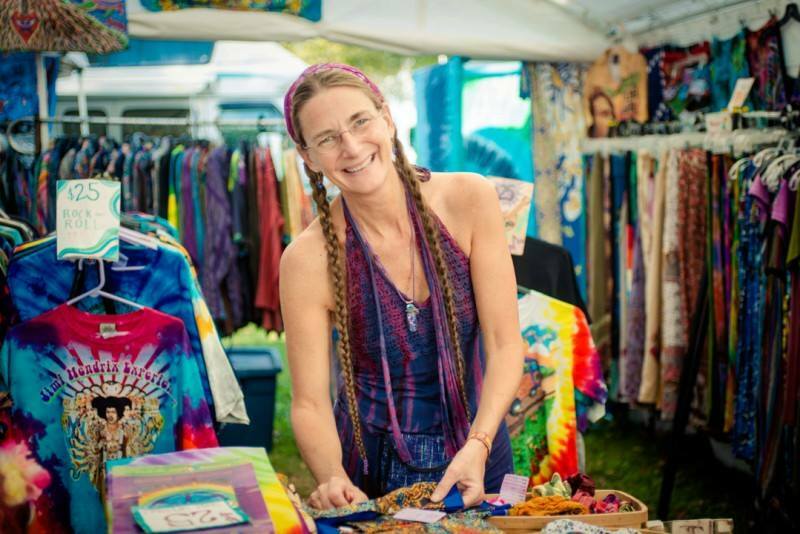 All vendors with artisan, handmade, or one-of-a-kind goods welcome. Vendors offering bohemian services such as intuitive readings, massage, and reiki are also welcome. Food vendors must have a professional food truck or trailer. We require all vendor booths to have a hippie / bohemian theme. The more creative and colorful, the better! 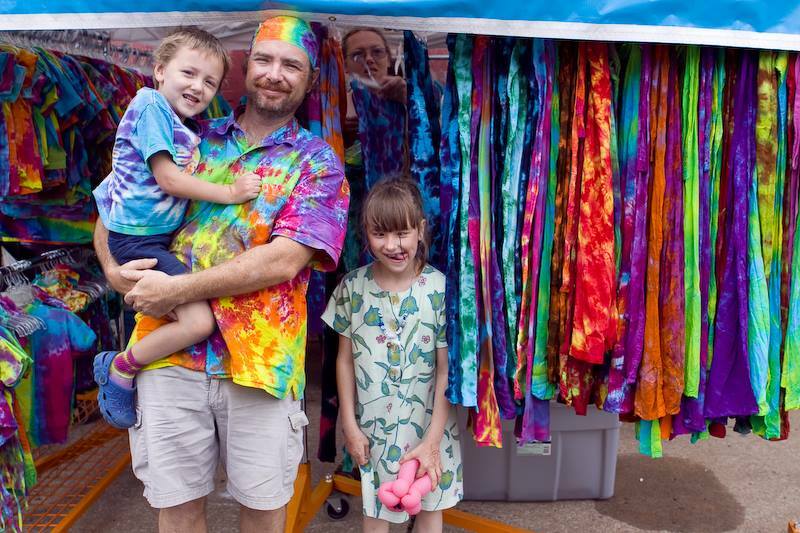 Hippie Fest is a family-friendly event. No weapon, drug, or political references in your merchandise please. The sale of smoking or drug related paraphernalia is strictly prohibited. We do not allow the sale of merchandise printed, stamped, or embroidered with our trade name "Hippie Fest". We do not authorize use of the name "Hippie Fest" or the Hippie Fest logo on any merchandise - including t-shirts and apparel. We are no longer accepting vendors offering henna tattoos or products made with CBD oil. Hippie Fest is an outdoor festival. All vendors must bring their own tent and tables. Water and electric hook-ups are not available to vendors. Hippie Fest is a rain or shine event. Refunds will not be issued in the event of vendor cancellation. Festival hours are noon to 7pm. Vendors have the option of setting up the evening prior to the festival or waiting until 9am the morning of the event. Vendors will receive detailed set-up instructions via email prior to the event date. Note to food vendors: We accept food trucks and trailers only. Food vendors must be properly licensed as a mobile food establishment through the health department prior to registering. There are no water or electric hookups. You must bring your own generator and water tanks. The vendor fee includes festival admission for the registered vendor and one "helper". All vendor space sales are final. No refunds for cancellation, inclement weather, or any other reason. Please email us at Info@HippieFest.org with any questions. We look forward to hearing from you!